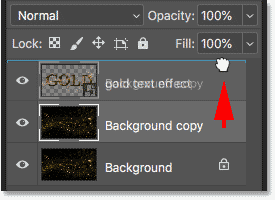 In this tutorial, I answer one of the most popular questions I'm asked, which is, how do you save a text effect with a transparent background so you can move the effect onto a different background? 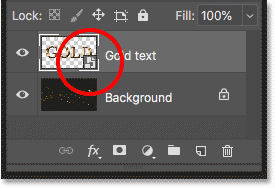 Normally when creating a text effect in Photoshop, we create it on a simple colored background, usually black or white. 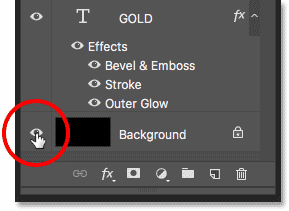 But once the effect is done, we often want to move it onto a different background, which means we need a way to remove the original background and replace it with transparency. So how do we do that? It's actually very easy, and in this tutorial, we'll learn three ways to do it. 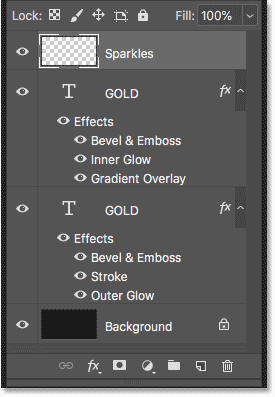 I'll be using Photoshop CC but any recent version will work. Let's get started! 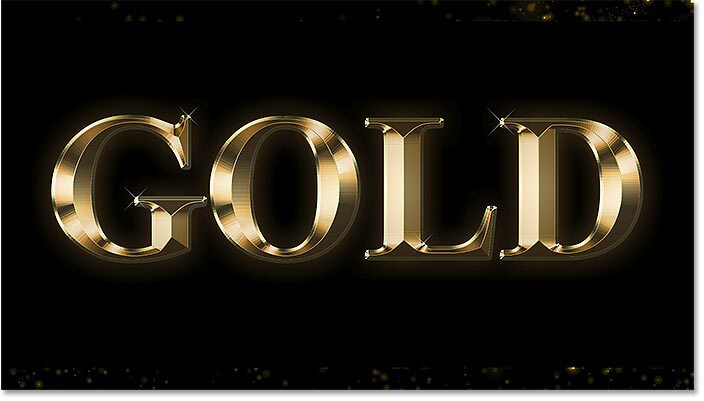 The original text effect on a black background. 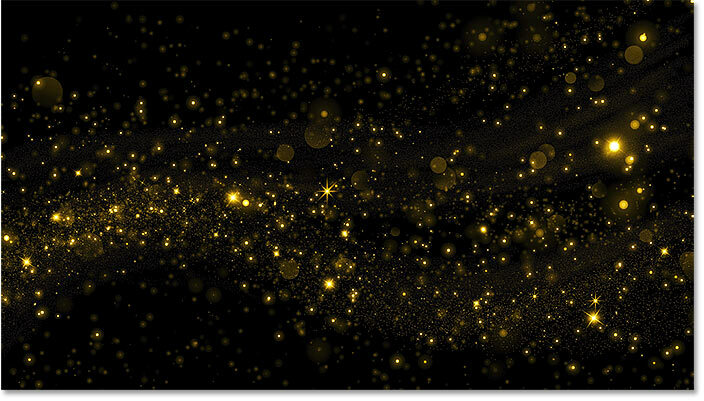 The new background for the effect. 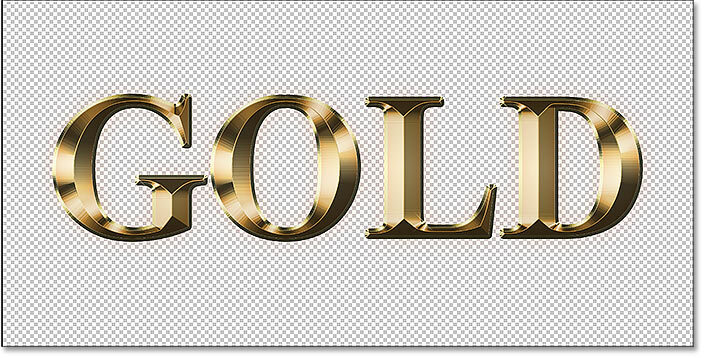 The text effect layers, plus the Background layer. 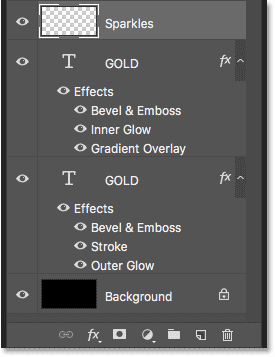 Turning off the Background layer. The background behind the text has been replaced with transparency. So now that we've made the background transparent, how to we move the effect onto its new background? There's a few ways to do it. One way is by saving the effect in a file format that supports transparency. The JPEG format doesn't support transparency, so it's not going to work. But the PNG format does, and that's the format we need. 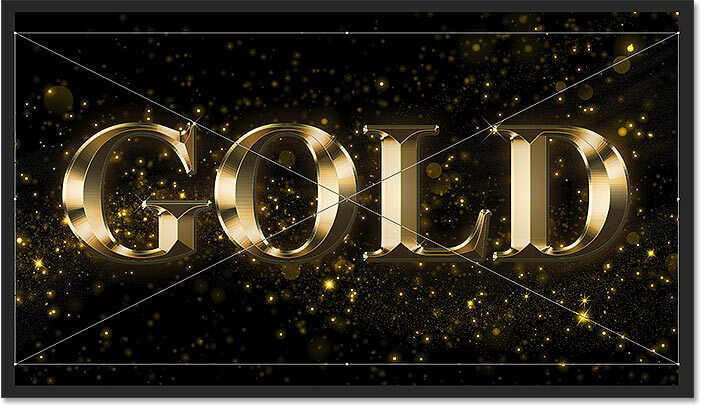 Saving the text effect as a PNG file. Choosing the smallest file size option. Opening the new background image. Going to File > Place Embedded. Placing the file into the document. 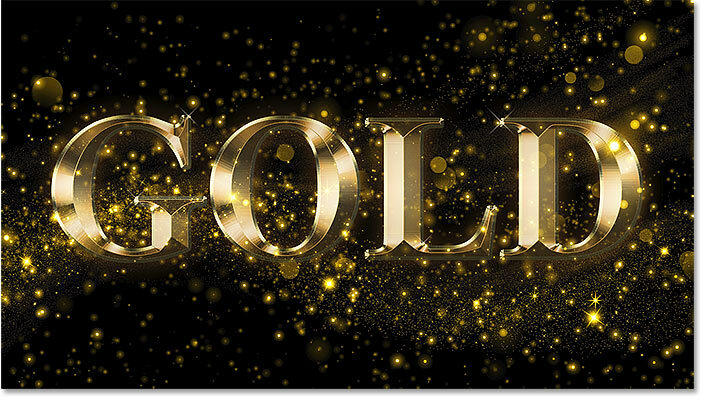 The text appears in front of its new background. 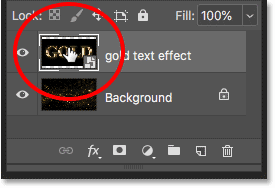 Photoshop placed the file as a smart object. Only the background image remains. 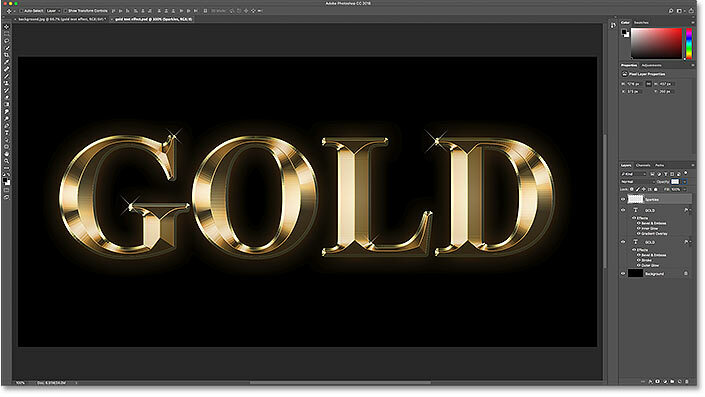 Switching back to the text effect. 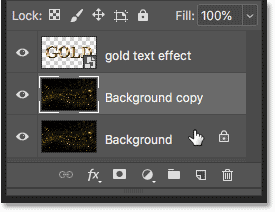 Another way to move your effect onto a new background is by copying and pasting it into the other document. 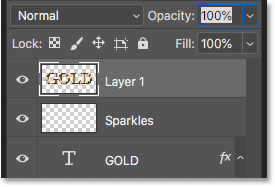 To make it easier, we'll merge the layers that make up our text effect onto a new layer. 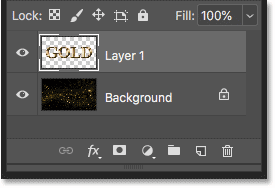 Selecting the top layer (with the Background layer turned off). The text effect has been merged onto a single layer. Switching to the new background. 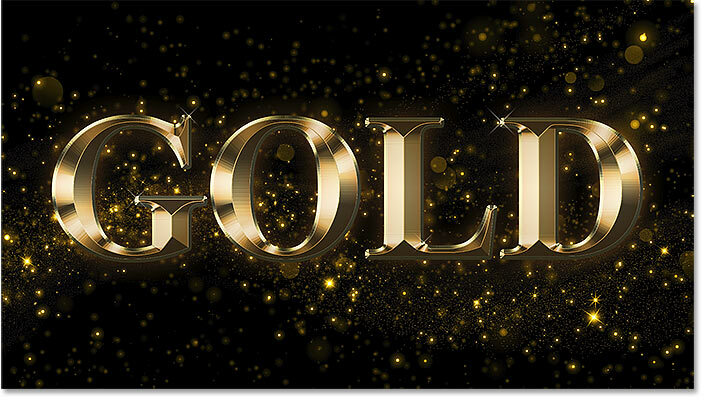 The result after pasting the text effect layer into the new document. 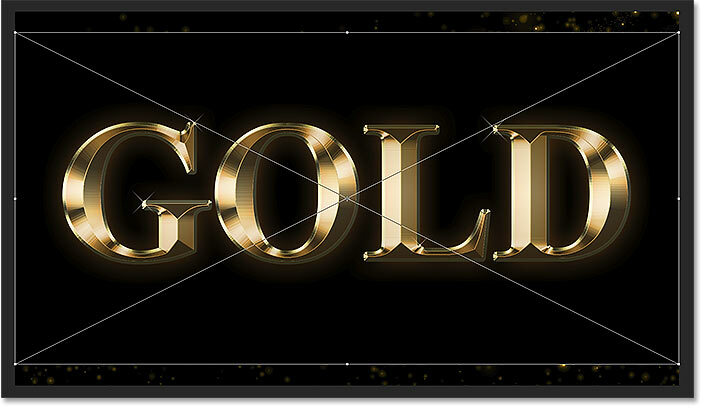 The text effect layer appears above the Background layer. Deleting the text effect layer. 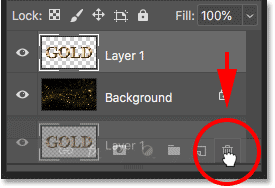 Selecting and deleting the merged layer. The text effect document has been closed. 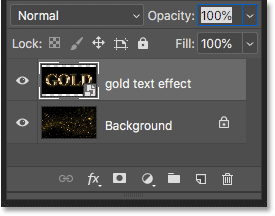 Earlier, we learned that we could move our text effect onto a new background by turning off the Background layer, saving the effect as a PNG file, and then placing the PNG file into the other document as a smart object. 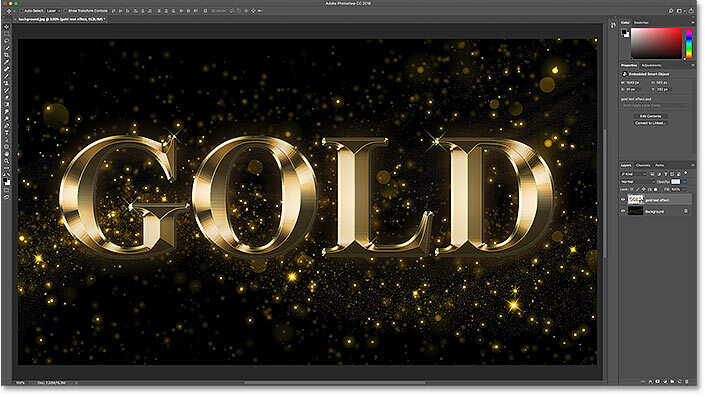 But we can actually place the entire text effect document itself as a smart object! And the advantage is that the document will remain editable. 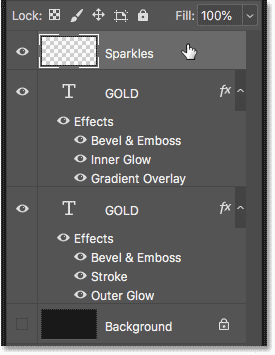 Choosing the text effect's Photoshop document. Placing the text effect document in front of the new background. The text effect has been added, but the original background is still showing. 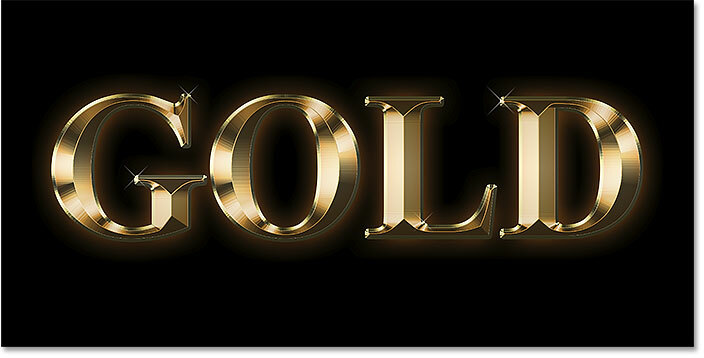 The text effect document has been placed as a smart object. 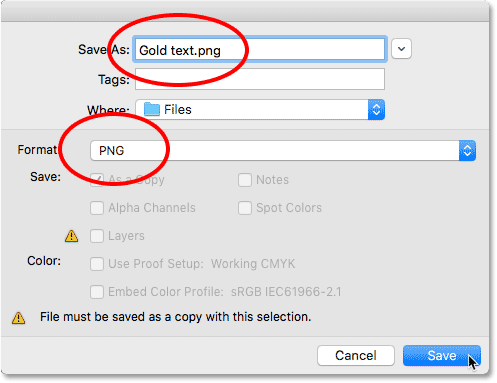 Opening the smart object to view the text effect document. The text effect document inside the smart object. 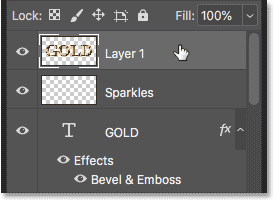 The Layers panel showing the text effect layers and the Background layer. The background is once again transparent. The result after turning off the Background layer in the smart object. 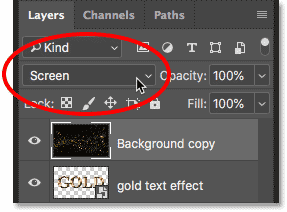 Making a copy of the background image. Dragging the copy of the image above the text. The text effect is temporarily hidden. And there we have it! 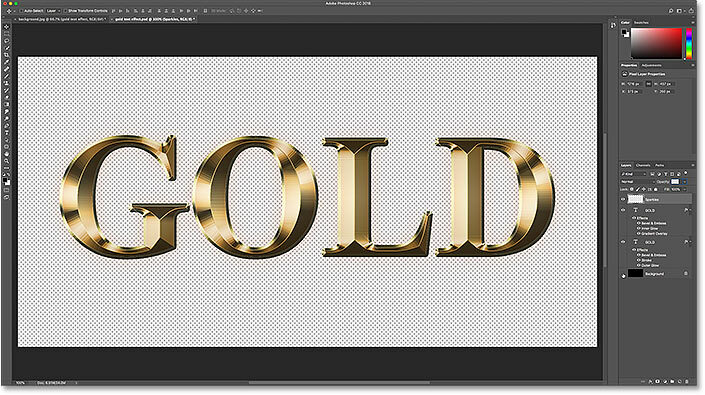 That's how to move a text effect onto a new background in Photoshop! 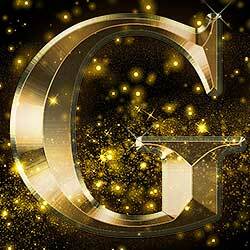 Learn how to create the gold text effect used in this tutorial, or view our Text Effects section for more tutorials! 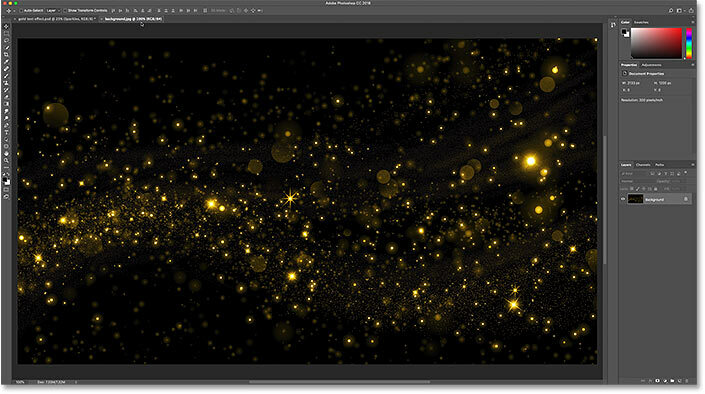 And don't forget, all of our Photoshop tutorials are available to download as PDFs!